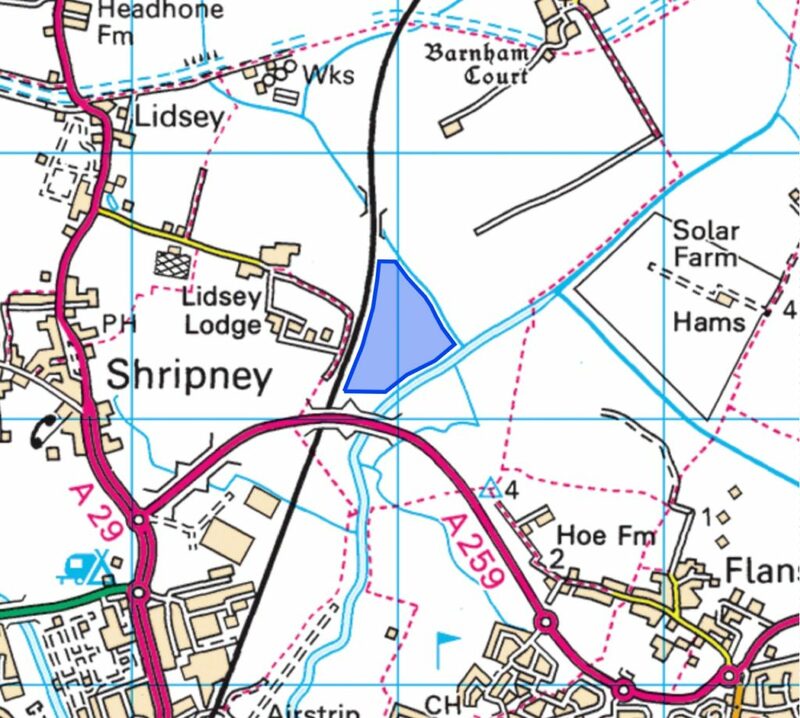 Solafields is proposing to build a solar farm of up to 10MW at Lidsey Farm, near the village of Shripney and in the parish of Aldingbourne, West Sussex, located on low-grade agriculture land approximately 1km east of Lidsey Road/A29, with direct access from the A259 relief road. Members of the project team will be available to answer your questions and welcome feedback. We look forward to seeing you at the exhibition and hearing your views. 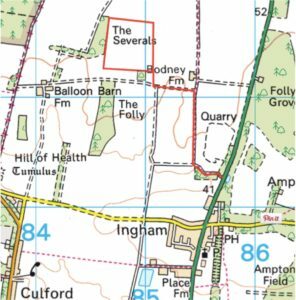 Solafields is delighted to announce that the Ingham North solar farm received planning permission from St Edmundsbury Borough Council, reference DC/16/2140/FUL, on 24th March 2017. Phase 1 of the Bishop’s Waltham solar farm was commissioned in February 2017. This phase was the construction of 5MW of the total 12MW consented for the site. Following on from the public exhibition held in November 2014, we have recently submitted a planning application to Winchester District Council for a solar farm at land west of the B2177 Winchester Road between Bishop’s Waltham and Waltham Chase. •	Additional planting and increased hedge heights have been incorporated into the application to help further screen views and reduce visual impact. •	We have guaranteed we would not expand the solar farm into the fields to the west of the proposed site. •	Community ownership of the solar farm has been proposed, offering community investment opportunities that prioritise those living in Bishop’s Waltham and Shedfield parishes. Please see ‘Community Ownership’ section below. The planning application is for a 12MW solar farm, which would generate enough renewable electricity to power the equivalent of 3,636 average households . It would save around 5,160 tonnes of CO2 annually and make an important contribution to local and national renewable energy targets. The visual impact of the proposed development is minimal. Existing trees and hedgerows provide good natural screening, with additional planting of new mixed native hedgerows being carried out where required. The land would continue in agricultural use for the 30-year life of the solar farm, with seasonal sheep grazing around and underneath the panels, and a nectar-rich grass and wildflower mix would be introduced, which would be a haven for birds, bees and other wildlife. An agricultural assessment shows the site is classified as predominantly lower-grade agricultural land (Grade 3b and 4) and thus it is considered appropriate for a proposal of this kind. At the end of the project’s life, all of the equipment will be removed and the land will be completely restored to agricultural use. Photovoltaic (PV) panels would be laid out in rows (arrays) running from east to west across the site. The panels would be angled at 20 degrees, 2.3m high and 0.9m at their lowest point with approximately 5m spacing between rows, allowing for biodiversity enhancements and sheep grazing around and beneath them. A surrounding deer fence is necessary to protect the solar farm from damage, and to prevent any large mammals from injuring themselves on the equipment. The local deer would still have access to many neighbouring fields. The fence would include a ‘small animal’ gate to allow continued foraging and nesting within the site, during the lifetime of the solar farm. Security systems would use infra-red sensors and the solar farm would not be illuminated at night. Access from the B2177/ Winchester Road is currently available in the north-eastern and south-eastern corners of the site. Both access points comprise dropped kerbs and hard standing off the highway and are currently used by agricultural vehicles. The main access for construction vehicles would be via the southern access. The northern access would provide the access for the substation building. Sufficient visibility currently exists in both directions for the southern access. Should the northern access be needed for construction vehicles, it is proposed to limit construction traffic movements to left in and left out manoeuvres only. Solafields would implement best practice during construction to minimise any nuisance to the local community. The construction period for the solar farm is anticipated to last approximately 20 weeks. During this period approximately 304 HGVs would visit the site for materials and equipment deliveries. This is an average of 15 HGVs per week. During operation, vehicle movements associated with monitoring, maintenance and cleaning are very low. Cleaning is usually less than annual and would depend on local air quality conditions. Typically 10-20 visits per year would be scheduled for a solar farm of this size, usually made using a small van. A specialist land management team would be employed to maintain the site throughout the operation of the solar farm. The team would be responsible for implementing the ecological enhancements outlined above. At the end of the solar farm’s life all hardware will be dismantled, removed and recycled. All existing hedgerows and trees would be retained throughout the life of the project, and the decommissioning process would see the reinstatement of the existing field shapes and sizes intact and, as a result, the landscape would not suffer any permanent alteration. We operate a community benefit fund that can sponsor a variety of local initiatives, such as solar or heating projects in local buildings, educational projects and other projects which would benefit the community. A number of suggestions were given for the proposed Community Benefit Fund at the public exhibition in November 2014, the most popular being improvements to existing rights of way and support for Priory Meadow. Should planning permission be granted and the project proceeds to construction, we would invite local community organisations to apply for grants from the fund for local projects. We want the local community to have the opportunity to invest in the proposed solar farm and share in its success. To achieve this aim we are partnering with Hampshire Renewable Energy Co-operative (HREC) which is a non-profit making organisation set to promote community ownership of renewable energy projects. We have agreed with HREC that, should planning permission be granted and the project proceed to construction, we would accept up to 10% of local community investment in the proposed solar farm. HREC have agreed to co-ordinate that investment on behalf of local people and would undertake all the legal work and issue a prospectus detailing the terms of the investment opportunity. The investment would be offered once the solar farm is commissioned and producing electricity, which could be as early as spring 2016. Depending on the size of the final development we would expect there to be an opportunity to invest between £500,000 and £1,000,000 in return for a prorated share of the income from the scheme. We would want to encourage as many investors as possible and HREC suggests that typical investments should be between £1,000 and £10,000. Initially the opportunity to invest would be restricted to residents of Bishop’s Waltham and Shedfield, giving you priority to invest in the scheme. If you are interested please register your interest on the HREC website – www.hampshire-energy.co.uk – and we will communicate with you further nearer the time of the proposed offering, which we would anticipate will be in early 2016. The planning application – which includes the associated studies and reports – will be available on the Council’s website once they have validated the application. You will be able to provide your feedback directly to Winchester District Council as part of the Council’s consultation process. Our 12MW solar farm at Baker’s Farm, Sidlesham, successfully commissioned in mid-March, well ahead of the month end deadline. Landscaping works are now being completed and the awards for the commmunity benefit fund will shortly be notified. The proposed solar farm would generate up to 15MW of electricity to feed directly into the local electrical grid network, generating enough renewable electricity to power around 4,545 average households. The solar farm would save up to 6,700 tonnes of carbon dioxide per annum. The proposed site is approximately 20 hectares/ 50 acres in size and is located on land west of Winchester Road, north of the Clewers Hill junction, approximately 1km south of Bishop’s Waltham and 1km north of Waltham Chase. Minister of State for Energy and Climate Change Greg Barker MP, has resigned from his post while energy minister Michael Fallon has been moved on to head up the ministry of defence, and environment secretary Owen Paterson has been sacked. The moves come as part of a major reshuffle by Prime Minister David Cameron Tuesday morning. Greg Barker has quit his position as Energy Minister as the Prime Minister completes the reshuffle of his Government Cabinet, which includes the sacking of Environment Secretary Owen Paterson. Mr Barker is understood to have informed PM David Cameron of his surprise decision to resign over the weekend. He will also stand down as an MP at next year’s general election.